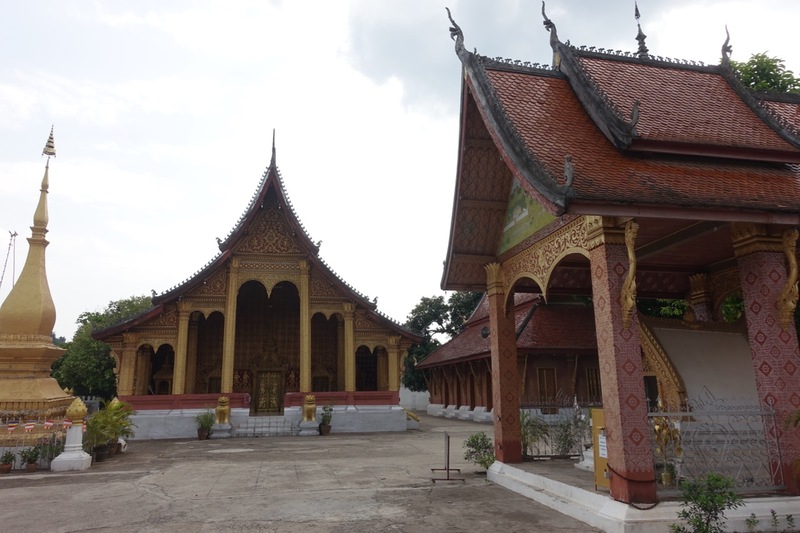 After Siem Riep, Su Ji and I were heading directly to Laos, Luang Prabang. There is no direct train connection and the only option is to rely on buses. All together, with waiting for the buses it took 48 hours. This kind of experience always raises the level of your patience and I think I won’t complain about long trips in buses anymore. Anyway, I would like to pinpoint the trip from Vientiane to Luang Prabang. We had a night bus, which was very unusual! 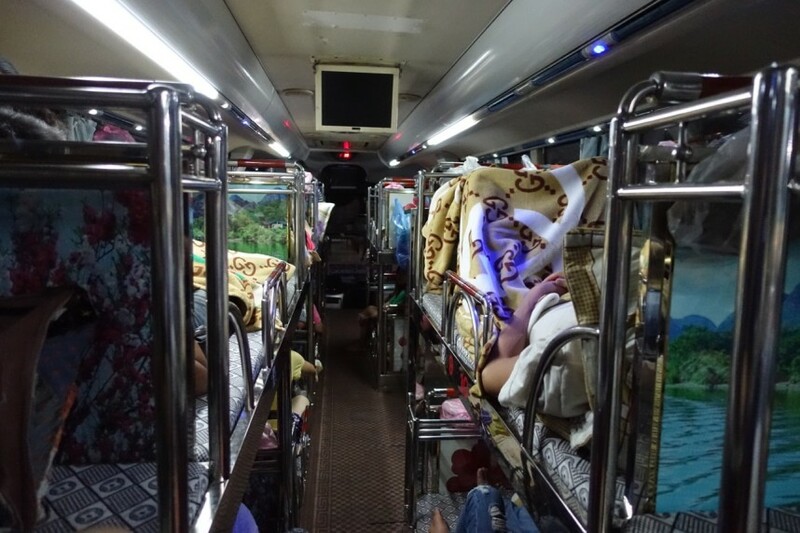 Instead of seats there were beds, each for two people. Now, for me and Su Ji it was really comfortable, but later I was talking with a guy who was “in a bed” with another dude, and he was not so enthusiastic about it. Luang Prabang is home for 50 000 people and therefore you don’t have the feeling of being in a huge city. The streets are calmer and it’s easier to find your own quiet place near the temples. All tuktuk drivers offer trips to waterfalls which are around 30 minutes of a ride. 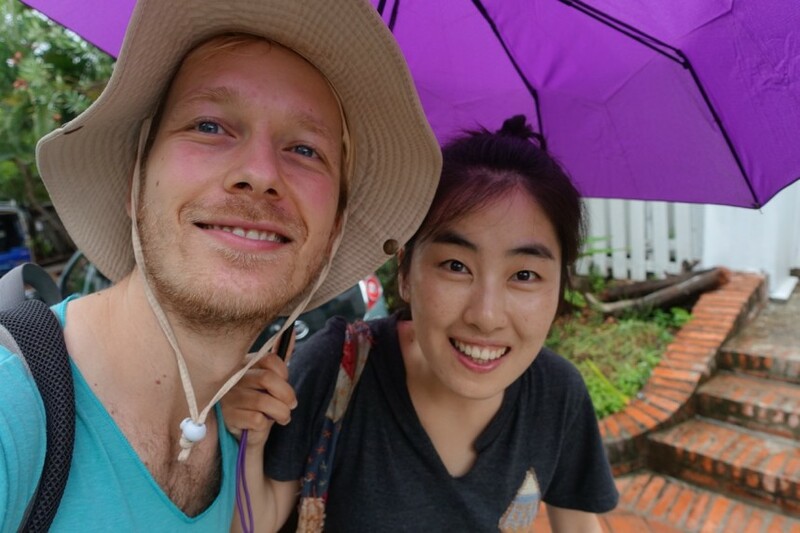 Su Ji was meeting her friends for a few days and so I was about to the discover Luang Prabang by myself. I was lucky to meet a great Spanish guy, Nacho. 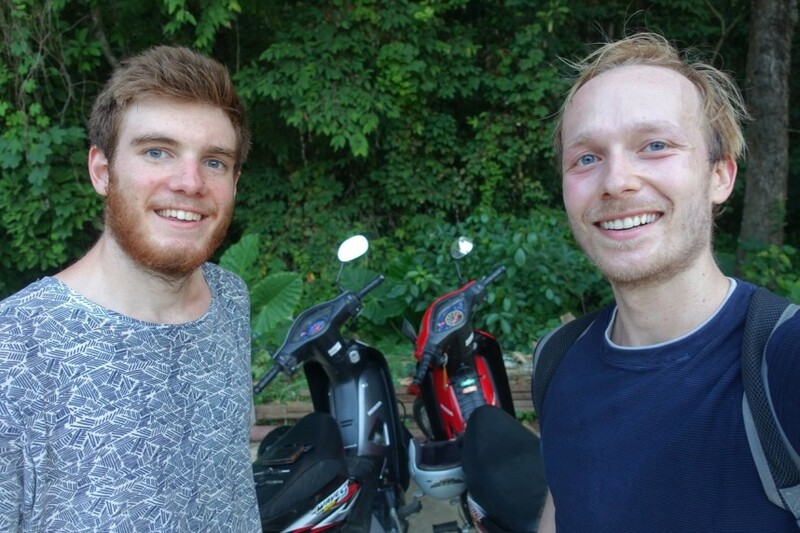 We rented motorbikes together and spent two days riding on the Lao roads. Some of them were better, some of them more difficult, but we enjoyed all of them. I noticed, that the local library was searching for an English teacher, so I went to their office to offer my help for a few days. Actually the next day I found out that there were already 3 other teachers waiting to teach English! I was just talking with the kids for a few minutes and then I was watching their English classes and was learning how to work with kids. 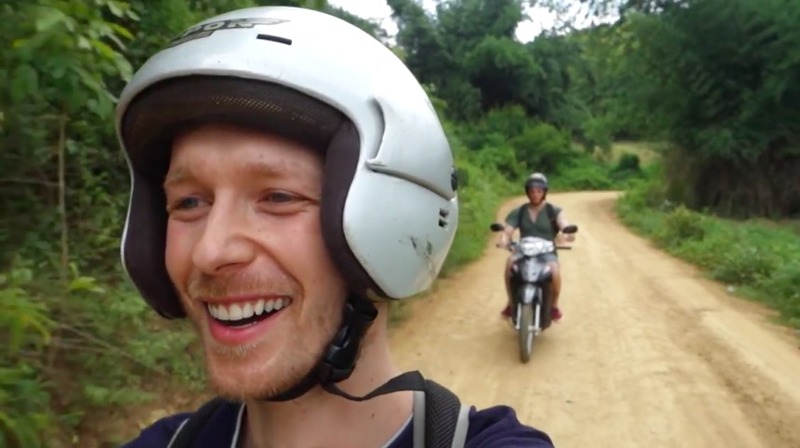 In Laos and Cambodia I had a very similar feeling – that these countries lack of organisation and system… Nobody told me if I should come again, or thanked me for coming. So the next day I didn’t join the classes anymore. It’s ok, I still had a great time, and I would do it again. Oh, and I was told, that this was actually not a school. It’s really just a library and also a place for kids to spend time when the parents are busy working. 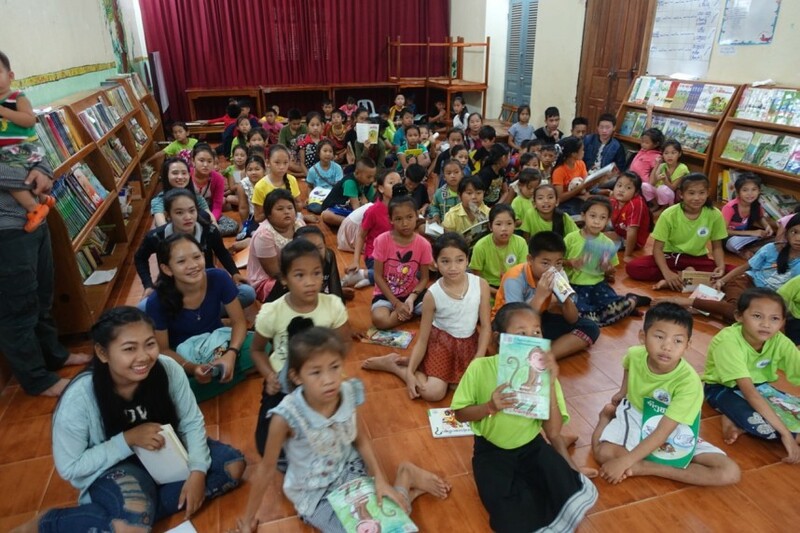 Actually, foreigners don’t have any access to the government school. During this trip Su Ji and I were discussing that everybody has their own mission in life. We all have a reason to be here. Nothing is coincidental. Everything is happening because of your actions, and actions of other people. And even if don’t realize it, you already have a mission in life to influence other people. And that was it. 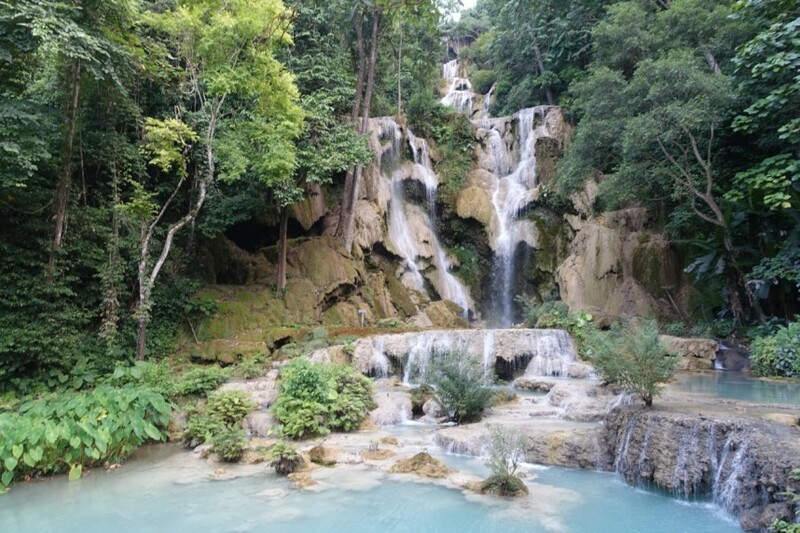 Luang Prabang is definitely a place to visit and enjoy the calm atmosphere. I will return here again!